Some of the best guitarists in the world started their careers using good inexpensive guitars, so if you wish to follow on their footsteps, read our guide on that. You can also have a look at another one of our popular articles in which we talk in-depth about delay pedals. When it comes to the greatest guitar players in the world, it’s hard to say who is the best. There are many players who have revolutionized the guitar world with their style, technique, and iconic performances. That is why we decided to list 5 of the most appreciated guitar virtuosos and let you make the final choice. Tops made by respected music magazines or voted by people, however, tend to put the same guitarists in the first few places, so here they are. Born in the Netherlands, Van Halen is considered to be one of the best guitarists in the world and he was voted as the number one in a reader poll published by Guitar World magazine in 2012. He was raised in a family of musicians and that is why he showed talent from a young age. Surprisingly though, he wasn’t able to read music but played it by ear and often times he improvised a lot. In his early days as a musician he used to play the piano, but he felt that that instrument wasn’t challenging enough for him. He and his brother bought a guitar and a drum kit and they started playing together. In interviews, he says that Eric Clapton is one of his main influences, but he also sees that his style is similar to that of Jimmy Page. 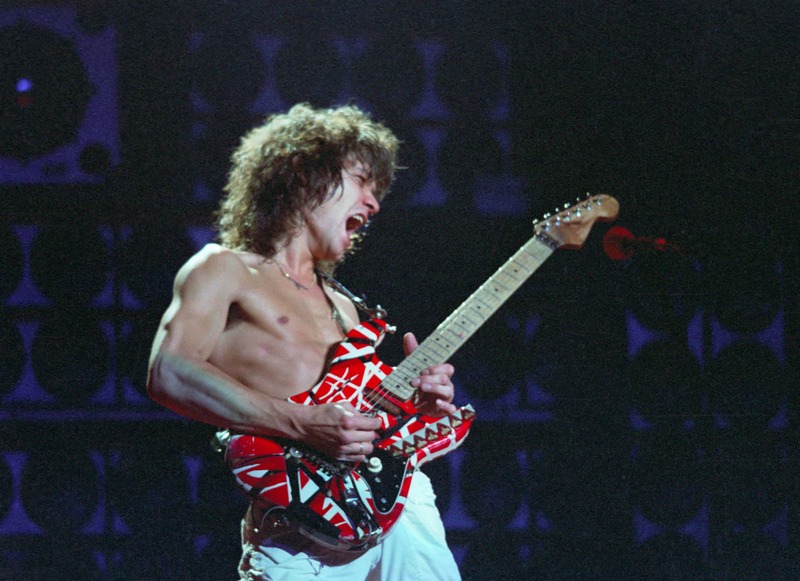 When it comes to his own influence on music, Van Halen is known for his use of two-handed tappings, tremolo picking, vibrato and the use of natural and artificial harmonics. But even this move was inspired by Jimmy Page, as Van Halen said he probably started improving upon the tapping technique after watching one of his shows. Being the guitarist of The Rolling Stones since 1962, Keith Richards is one of rock’s legends. Apart from being listed as the 4th best guitarist in the world by the Rolling Stone magazine in 2011, Richards is also considered the creator of many most iconic riffs. He is also a great composer, being the co-principal songwriter for his band. He is a talented musician capable of singing too. When he was young his grandfather had a guitar that he always kept out of young Keith’s reach. He was told by his grandfather that when he captures that guitar, he can play it and keep it. So he did, and that’s how with determination he got to be one of the best guitarists still alive today. His playing style is interesting, as he doesn’t try to be “the fastest gun in the west”, as he says. Richards prefers focusing on chords and rhythms. He is able to perform fast riffs alone but he likes to team up with another guitarist and play along. Sometimes he removes the thickest string of the guitar saying that it gets in the way of his style of play. Another virtuoso of the rock world, Jimmy Page is known for his work with Led Zeppelin, and he is the band’s founder. Being described as “the pontiff of power riffing”, he was ranked the 3rd best guitarist in the world by the Rolling Stone magazine and the 2nd in Gibson’s list of top guitar players of all time. He discovered the guitar when he was 12 and although he took a few lessons, he really learned a lot while playing and teaching himself alone. When he was young there weren’t many guitarists around, so he had to learn most of it by himself. Although he brought a lot to guitar playing styles, he also had a huge influence on sound recording and guitar effects. Because he had a background in music production, he knew how to place microphones and how to produce certain sounds. Referred to as one of the most important and influential guitar players of all time, Clapton was part of The Yardbirds rock band, along with Jimmy Page and Jeff Beck. All three of these guitarists are considered some of the best. 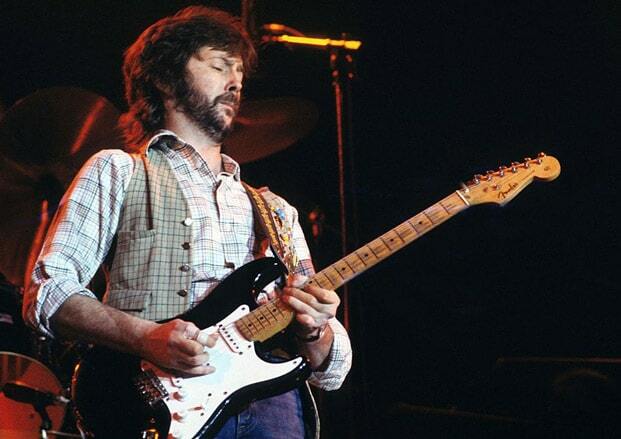 Eric Clapton appeared 3 times in the Rock and Roll Hall of Fame, once as a solo artist and two times as part of a band. He ranks second in the Rolling Stone magazine’s top of best guitarists and 4th in Gibson’s Top 50 Guitarists of All Time. Receiving 18 Grammy Awards, he also received the CBE, an order of chivalry offered in Britain for outstanding citizens that have a great impact on arts, science, or perpetuate charitable acts. Because he had issues with alcohol and drugs, after his recovery he founded the Crossroads Center, a medical facility that helps substance abusers. His style is a complex one but the influences come from great blues players such as B.B. King, Muddy Waters, and Buddy Guy. 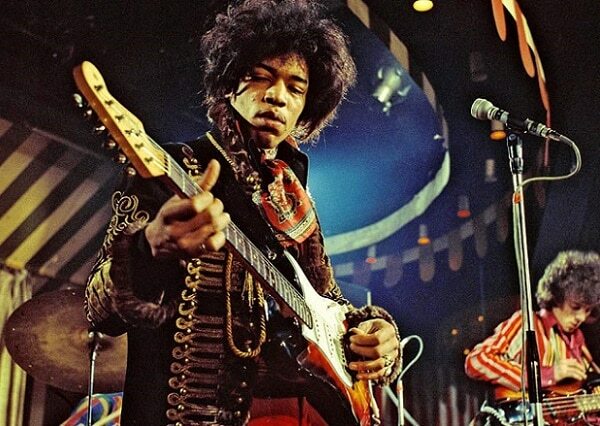 Despite the fact that he had a mainstream career that lasted for only 4 years, Jimi Hendrix can be considered the greatest instrumentalist in the history of rock. And that title also means that he is probably the best guitar player the world has ever seen, so the fact that he died aged 27 is a tragic thing for music as well. Most tops will agree that he is to be placed on the first spot when it comes to guitar skills. In his years of fame, he was the world’s highest-paid performer and he was the headline of the Woodstock festival in 1969. He used his style and talent to popularize the overdriven amplifiers and the high gain and volume that an electric guitar could provide. Much of the effects that are popular today, including the wah-wah or fuzz tone started with him. He essentially transformed the world of rock with the help of technology, and the feedback and distortion that electric guitars had. For his unique style, influence and innovative spirit, he can be considered the best guitar player there ever was.